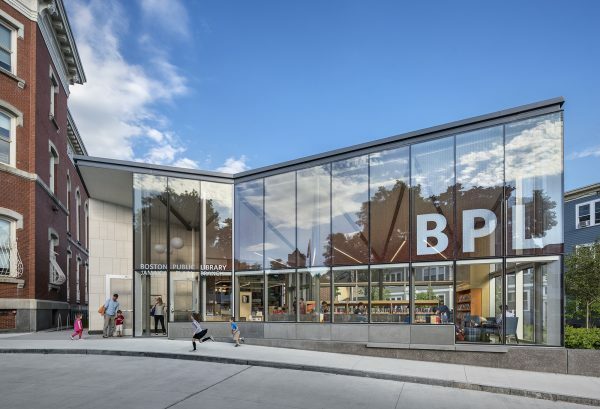 Utile is working with the Boston Public Facilities Department and the Boston Public Library on the comprehensive renovation of the Dudley Branch of the Boston Public Library, following a previous entry design and programming study for the building. 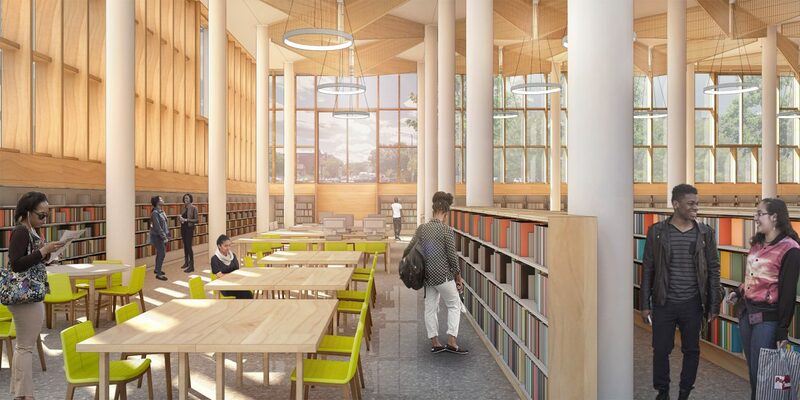 This project aims to create a welcoming environment for visitors, enhance the library’s presence in the Lower Roxbury community, and fully upgrade the outdated building systems. 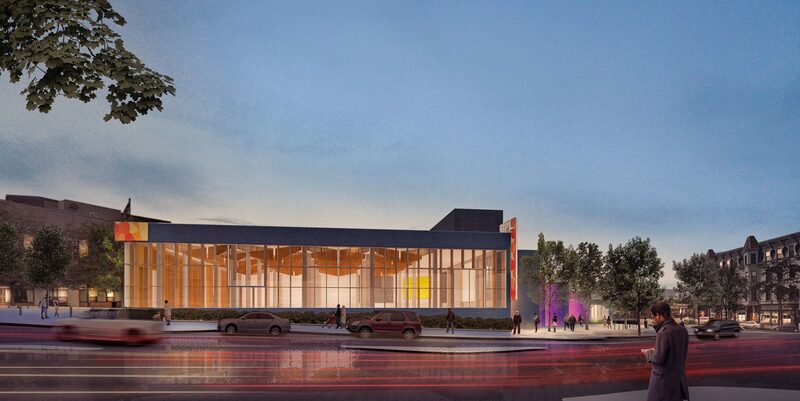 The 27,000 square foot renovation will include a revitalized community room with state-of-the-art audiovisual technology, new lighting, and large windows overlooking a new entrance and plaza. 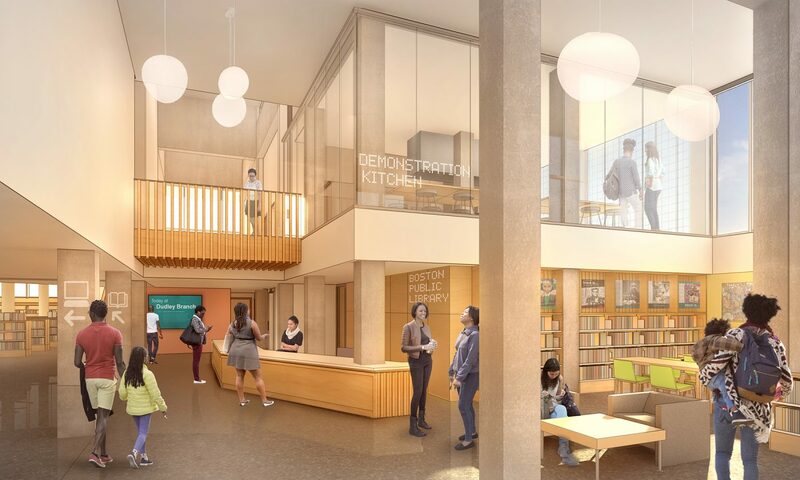 New programs include a technology teaching lab and a nutrition lab featuring a full kitchen, and a dedicated African American collection is prominently located just inside the new entrance. Expanded computer stations and laptop availability will provide visitors with access to technology throughout the library. 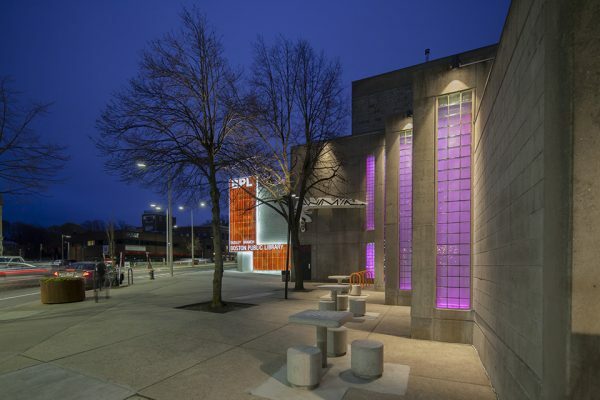 The project aims to visually open up the library to the community by replacing much of the concrete and glass block walls with new transparent window walls. The entrance will be re-oriented to Dudley Street and the Dudley Square MBTA Station to further engage with the neighborhood, and overlook a fully redesigned plaza. 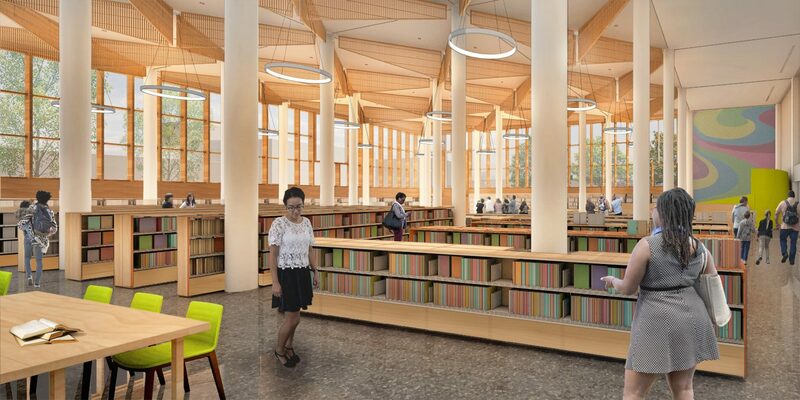 A raised terrace under a large entry canopy will provide shaded outdoor space for reading and accessing the library’s Wi-Fi. Additional building upgrades include new windows, new insulation, a new roof, and modernized HVAC and lighting to significantly reduce the building’s energy consumption and carbon footprint. 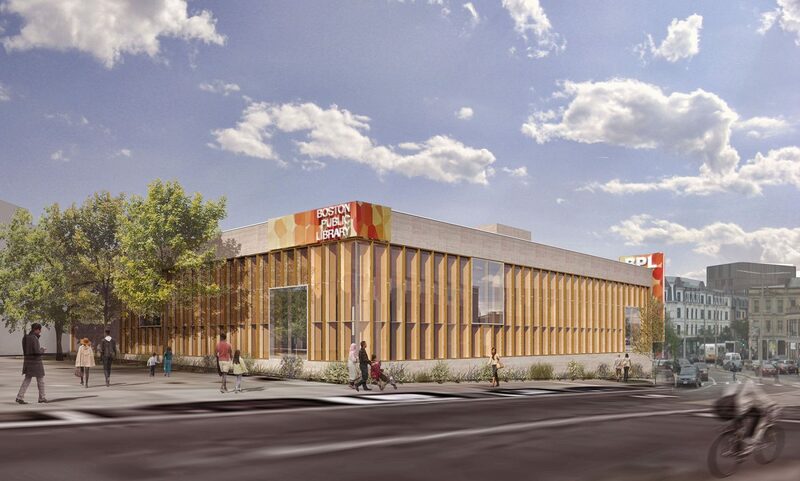 The library will be fully accessible with a new elevator and enhanced technology for the hearing impaired. The project team celebrated the Renovation Kickoff community event on October 21, 2017.